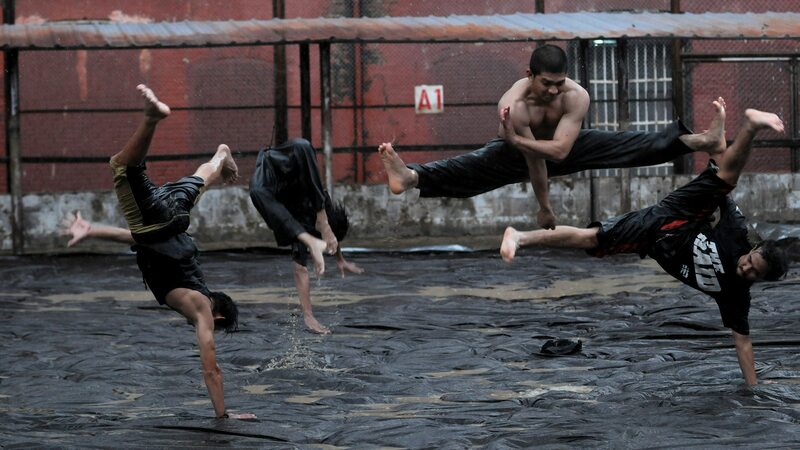 Director Gareth Edwards took to Twitter to unveil two new stills from his currently shooting sequel to The Raid: Redemption entitled The Raid 2: Berandal and we have ’em for you right here. One of which includes your first intro to a new character known as Hammer Girl. Dig it! PT Merantau Films and XYZ Films announce the start of production for THE RAID 2 (Indonesian title, THE RAID 2: BERANDAL), the sequel to the wildly popular international hit THE RAID (aka THE RAID: REDEMPTION). 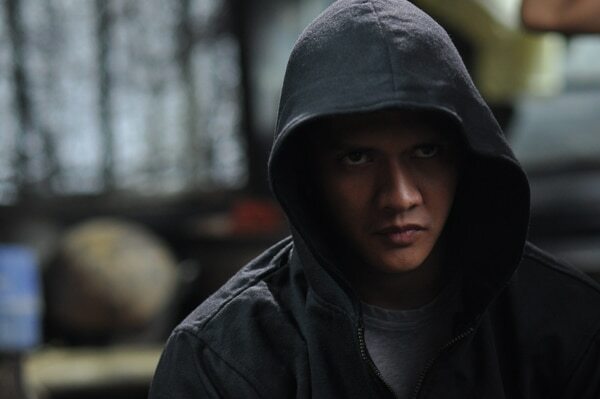 The film reunites writer/director Gareth Huw Evans with actor Iko Uwais, who will be reprising his starring role. Ario Sagantoro is producing for PT Merantau Films, along with Nate Bolotin, Nick Spicer, Aram Tertzakian and Todd Brown for XYZ Films. Executive producing are Rangga Maya Barack-Evans and Irwan D. Mussry. In addition to Uwais, the international cast includes Tio Pakusadewo, Putra Arifin Scheunamann, Julie Estelle, Alex Abbad, and Roy Marten. The film is currently lensing in Jakarta, Indonesia, and is scheduled to shoot for over 100 days. Line producing the film is Daiwanne Ralie with Matthew Flannery and Dimas Imam Subhono serving as directors of photography. Picking up right where the first film ends, The Raid 2 follows Rama (Uwais) as he goes undercover and infiltrates the ranks of a ruthless Jakarta crime syndicate in order to protect his family and uncover the corruption in his own police force. Sony Pictures Worldwide Acquisitions (SPWA) acquired the film for the United States, Spain, Latin America, and South Africa; and Sony Pictures Classics will once again release the film theatrically in the United States. Go on a raid in the comments section below.